A nontraditional approach to a traditional holiday; Ash Wednesday is usually celebrated with a mass at church but some churches are taking on a different approach. 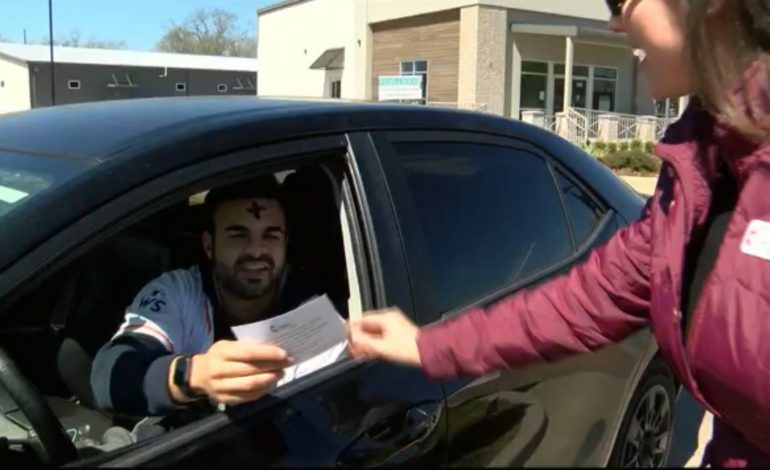 Along with two services at their Lafayette church, Asbury United Methodist Church went to Metarie Centre plaza in Youngsville to test out an Ash Wednesday drive through. Drive throughs are a way for us to still get what we want and need, just on the go. Ashes to Go is the same concept, except instead of a meal, we’re talking about an Ash Wednesday mass. But how do you create a drive through version of something that usually takes about an hour? From there it only lasts about two minutes. Along with ashes Asbury UMC volunteers also gave informational cards about Ash Wednesday and they’re plans to create another ministry in Youngsville.